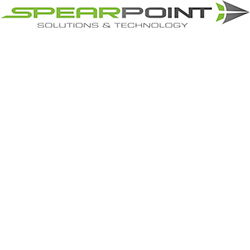 Spearpoint Solutions and Technology Pty Ltd (Spearpoint) is a 100% Veteran Owned and Operated company based in Queanbeyan NSW, near Canberra. Spearpoint is an ISO 9001:2008 certified company. Spearpoint maintains accredited facilities for the storage, distribution and repair support of leading edge Defence and Law Enforcement products. Spearpoint specialises in the provision of Soldier Systems, particularly high-end personal protective equipment (PPE), including helmets, combat body armour, clothing and night fighting equipment (NFE). Spearpoint represents a range of leading international Defence Original Equipment Manufacturers (OEM) exclusively for Australia and New Zealand. Spearpoint represents a range of product manufacturers in the military, police and outdoor enthusiast markets in Australia and New Zealand. We specialise in personal protective clothing and equipment. We also introduce and support new and innovative products beyond this specialisation, many in direct response to customer enquiry and need. Spearpoint, being small, Veteran Owned and Operated, understands and supports the innovative capability acquisition requirements of Defence. With a strong background in capability acquisition inside Defence, and a worldwide network of innovative suppliers, we provide a source and a conduit for innovative soldier systems.